Part III: Demolition… Ka-Boom! There She Falls! I love historic sections of cities, the “old section” of town that is rich in heritage and history. What happens though when it turns into the “slum” of the city. Slumlords become tenant renters never fixing up their place, trash is strewn throughout the streets, crime, prostitution, and drug selling is found around every corner. At this time the section of the city gasps for life, shakes in fear, and loses hope. Soon “death” hovers over the streets instead of “life”. Something needs to be done when so much “life is lost”! This is the time for renewal; cities call it urban renewal; churches call it revival. Revival demands change: individual changed lives as well as structural institutional changes. If we keep the same institutions, we get the same results, and the slum mentality will remain in a new environment until it eats away at any progress that was made. Often total demolition is a necessity before renewal can be birthed or maintained. Isaiah pointed out that to “build up, build up,” first “ remove every obstacle out of the way of My people,” needed to happen. Demolition to religious structures had to be done before renewal was to begin. The Tabernacle had to give way to a Temple when the nation Israel was established. The Temple eventually had to be destroyed, never to be rebuilt, when Christianity was birthed because Christianity professed that the believers’ bodies were the temples of the Holy Spirit, not physical structures. Old structures had to give way to new ones. The previous “Books of God” were now called “the Old Testament” giving way to the new “Books of God” called “the New Testament”. Old influenced the new, but a time came for the old to be old, gone, done away with, “Ka-boom”! It was replaced by something new, something better! That is how God has worked historically as recorded in the Bible, and will continue to do so! I have written blogs in the past on excerpts of a manuscript I have written called “Metamorphosis” where I believe the Church is going from their current caterpillar stage into a cocoon stage that will “restructure” what a caterpillar looks like. In fact what comes out of that caterpillar will not look like a caterpillar at all; it will be a butterfly, a completely new structure. The old will be gone; behold the new! What will this new structure look like? Well that is what almost 500 of these blogs have been written about. I believe we will have a new structure build around the five fold as passions, beliefs, and points of views of average, normal believers in Jesus Christ who have linear relationships with each other of “laying down their lives for their brethren.” This sacrificial love will transform the way we do Church in function, worship, and personal relationships. It will be revolutionary in our thinking, because it will be a new structure. Old hierarchal clergy/laity structures will fall as well as institutional, organizational mindsets based on those structures. If everything we do becomes relational, either vertically with the way we worship the Father, the Son, and the Holy Spirit, or horizontally, the way we accept one another, it will force us to rethink how we do Church, what is the Church, and demolish old mindset while openly receiving new ones, new revelations as the Holy Spirit reveals. “Ka-boom”! Another structure falls, another organization, but in its place a butterfly, an organism suitable for flight into the heavenlies, replaces it, a better structure, a better form, a re-form, a newness: revival! Part I: Can We Keep An Organism From Eventually Becoming An Organization? It is so easy to go from being an organism, “a living thing, a living being, an individual, to becoming an organization, an administrative and functional structure. We discover how to bring life or a solution to a problem, then immediately want to organize it to make it more “efficient”. For example, many hospitals were birthed as a “living” effort to reach out to the sick, especially those who are poor, but once established it becomes an organization to improve its “efficiency” which has brought us to America today where we have developed entire “conglomerates” whose bottom line is the business model of dollars and cents rather than for care for the poor. What started as a good cause, became an efficient system, that eventually becomes all consuming and overwhelming where the organization becomes more important than the original cause. An example is the YMCA, originally a British Christian outreach program for physical health and cheap housing, who now has lost the “C” and is known strictly as the “Y”, and is memorialized by the Village People propagating the gay population in San Francisco in their hit song, “YMCA”.! This phenomenon also happens with the Church. A person shares one-on-one the gospel producing fruit with several others now believing. As they share their faith, the group grows in size. As it does, they soon believe they can meet more needs if they organize resources to make it more efficient, thus structure and order is formed. Soon structure and order leads to tradition, and we begin to lock in our organization standards which eventually become set in stone, and the movable, fluid, organism is stifled, if not crushed. It is also the dream of some churches to organizationally grow into “religious conglomerates” known as mega-churches where maintaining the huge system becomes an albatross to the effectiveness of the ministry. We, the church, spend so much time and effort into organizing structures, services, and activities to be more efficient, believing that is the definition of “good stewardship”, rather than spending it on relationships and personal one-to-one contact with our neighbors and other believers. Soon we are willing to “invest” our finances to hire a professional staff to fill organizational positions to perform religious activities rather than staying personally involved in one-to-one relationships, and we wake up discovering we have also become “the institutional church”, though we tend to deny that truth. Churches are known for producing “look-alikes”, replicas. People who come in our church doors are as diverse as the weather conditions around the world. They come in all shapes and sizes, races, nationalities, talents, and interests. They leave packaged! Usually packaged by denominational standards, by moral codes, often by the way they dress, their appearance. In the American political world we label one as a Republican, Democrat, or Independent. In the Church world we too have labels: Roman Catholic, Protestant, Orthodox, Baptist, Pentecostal, Mainline, Organic, Missional, Independent, etc. Each group has their own organizations, their own seminaries and educational institutions, their own hierarchy of leadership. Though they may have different doctrines in theology, the people they produce under their banners are looking pretty generic. That is a good thing, for it is ripe for revival! The Lord doesn’t want to stifle diversity; He wants to actually use it for the good of the Body of Christ. Every local church needs the evangelistic spirit, the nurturing caregiver, the grounded Bible teacher, the prophetic insight, and the apostolic over sight, the five fold, five different passions, drives, points of view that are in individual believers in Jesus Christ. If each of those five operate out of the I John 3:16 principle of “laying down your life for your brethren,” by unconditionally serving the others and allowing the others to serve them, a unity will be bonded like the Church hasn’t seen in centuries. Unfortunately, when sitting through most church services, you do not see the diversity among the saints, the common believers, arise because of the preplanned, orchestrated service which renders God’s people to be inactive, passive. In I Corinthians 12 Paul explains how the body has many parts, relying on each other, and the significance of each diverse part. At the end of the chapter he lists some of the diversity amongst the Corinthians: apostles, prophets, teachers, doers of miracles, healers, administrators, etc. There is diversity among them. Now allow the Holy Spirit to mold them into one body, one voice, one purpose, that is not generic, nor sterile, but vibrant, alive, and unique to each individual local church body. We, the Church, need to get back to recognizing the diversity among us, and begin “accepting” that diversity as a gift from God, not looking at it with fear and trembling. “Acceptance” of one another is a key component in the success of the next revival. We, the Church, need to recognize each other as “peers” in Jesus Christ, equals in Christ, all capable of following the leading of the Holy Spirit while being grounded in the Word and living the Word. No group is better than the other. No individual believer is above another in stature or in spirit. “The Priesthood of Believers” is also another key component in this revival. We, the Church, need to allow the Holy Spirit to orchestrate this next revival. A good orchestra has much diversity in its instrumentation. The greater the diversity; the richer the sound. Let’s allow the Holy Spirit to be the conductor, bringing out unique, diverse solos when needed, but bringing all the members of this orchestra to play in harmony, together, at once, in the richness of a new sound to glorify Jesus and bring unity. If we don’t, there will be no revival! God’s symphony will remain silent. 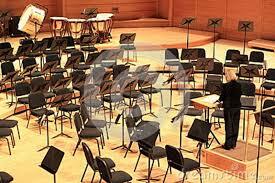 The Holy Spirit is tapping his baton, signaling that He’s ready to lead God’s orchestra in the symphony of the ages. What Mess? Let’s Have Some Soup! I attend a local church who fifteen years ago emphasized equipping the saints, teaching each individual Christian to read the Word of God and dig for its truths themselves, to listen to the Holy Spirit themselves, to learn to be obedient to what the Word and the Spirit was telling them individually and corporately. From a passive onlooker’s point of view, it looked rather messy. Different people with different passions with different understandings with different points of view all extending their faith in different directions with different giftings, etc., etc. It looked like there was no single purpose for direction. I have been through the Charismatic Movement which released individual believers in Jesus Christ to be priests of the Holy Spirit which exploded in diverse ways, looking extremely messy. Freedom released often looks messy! Revivals, being free in the Spirit, for some reason, always turn out messy! Since then, the church has been struggling with “how to clean up the mess” as they focus on the mess, but they can not lose sight of the creation that the Lord is brewing. When I make beef vegetable soup, it is quite the process: preparing a stock of rich beef broth with a touch of chicken broth for diversity and taste, cutting beef into small chewable size chunks, dicing carrots, celery, zucchini, and string beans, mincing onions, slicing tomatoes, trimming broccoli and cauliflower into edible size morsels, adding pinches of salt, oregano, and pepper, thinly slicing mushrooms, dumping in a complimentary size portion of peas and corn, and adding the right amount of olive oil, then letting it cook while simmering, allowing all the juices, all the ingredients, all the special flavors to infiltrate each other into a marvelous concoction that only my soup spoon can handle when finished. As I step back to inhale its intoxicating rich aroma while it simmers, I am shocked at the condition of the kitchen: a TOTAL MESS! Although I now spend up as much time cleaning up the mess as in preparation of the soup, I CAN NOT loose sight of that cooking masterpiece on my stove, still simmering, still blending, still in the process of being a culinary masterpiece. Good soup takes time! Unfortunately, the church often looks and works at cleaning up the messes and looses sight of the pot, still cooking, still simmering, still in the process of making a masterpiece: delicious soup! Do you stop the pot of soup from cooking? Do you turn off the dial that brings the heat that causes the chemical creations of all those diverse vegetables and broth to blend together? No. The soup is not ready yet! Only when there is a think layer of “oil” floating on the top created from the blending of the entire creation do you know that the soup is thick, the soup is blended, the soup is ready to eat! Get out your soup spoon, but not before it is done or you will miss the richness of properly blended soup! We need to “wait upon the Lord” until the “oil” of his Holy Spirit is upon the finished product before we, as humans, mess with it again! If we want the richness of what the Lord is doing, we must be patient, allow His process to work towards its completion! It is alright to clean up the mess around the creation that we made for its preparation, but it is not wise to mess with or abort the project when it is simmering, stewing, going through the laborious process towards completion. God is still at work! He is the creator; let’s not mess with his creation, only clean up our messes! I see this generation who has seen the mess created by past movements of God fearful to let go and release again that same spirit that might bring more mess, especially right after a clean up. I understand; I hear you, but don’t forget: the pot is still simmering, stewing, blending, ….. The preparation work is done; the clean up is done; now is the time for waiting for that “oil” to rise from the project to signal its time of maturity. If you are patient, you will benefit from all the preparation, the mess it created, the clean up, and the long cooking time. Remember: WITH PATIENCE YOU GET TO EAT THE FINISHED PRODUCT! REJOICE! Get your soup spoon ready! I would be devastated if my wife came into the kitchen when it had its mess and tried to shut it down and throw my creation away. She would remind me, point out, and emphasize the mess, MY MESS, that I made! She would demand CONTROL back of HER kitchen because of MY mess! She may get angry, may raise her voice, or may give me the “evil eye” that only mothers and wives can give at precisely the right moment to get their poignant point of their displeasure across! She may even continue to NAG me about MY mess even while I am cleaning it up! And if really angry, if really feeling intolerant, if really feeling offended, she may take the lid off the pot, complain about the “film” of “oil” that is floating on top, and throw all its contents away! After all the mess is cleaned up, after all the emotions are deescalated, after emotional damage has occurred to all involved, there will again be an immaculate clean kitchen, but NO SOUP! That is how most churches have handled the mess of change caused by the Holy Spirit which we call revival. They choose to throw the Godly workings of that revival out because of the mess that was created. The Church still wants the benefits of revival, but without the mess. The benefits of revival is the soup, but after throwing the soup away, you can not get it back! Church, let’s be patient. Many in the past have “prepared” that which is brewing, stewing, bubbling in our midst today. We need to recognize that there was mess in the preparation, and it is OK to clean up after making our messes, but please, please, please, don’t throw out the pot of soup, God’s product, or it will be forever lost! Instead rejoice together by getting out your soup spoons in preparation of the “feast” the “banquet” that the Lord has prepared for us to enjoy TOGETHER! An inquisitive event occurred at the church I was attending on Sunday. The Pastor gave a sermon on Justification By Faith. In an attempt to show an unbiased look both sides of the “Once Saved Always Saved” versus “You Can Lose Your Salvation” arguments although he let you knew what side he favored because “it was his responsibility to portray the ‘truth’”, a woman broke into the flow of debate, not to ask a question, nor to give an opinion. She wanted to share a testimony. Her testimony was that she had had headaches and back pain during the service. Someone from the children’s department asked if she would come and let the children pray for her. She complied. The teacher of the children’s class had been teaching the children how to listen to the voice of the Holy Spirit themselves. As the children honed in on that still small voice, they began to minister to this lady. By the time they were done, she was pain free. Here she was now telling the adults about this experience as the children released their "child like faith". That is the beauty of being a child: having child like faith. Adults were discussing “faith”, debating theology, trying to figure out how faith works while justifying their theological positions. The children? They just practiced their faith! The adults came to no conclusions that united them while the children produced results, a healing! When is the adult church going to allow the passions of the children of God to arise, that of an evangelist, a shepherd, a teacher, a prophet, and an apostle, and release the children of God to freely exercise them? The Holy Spirit resides in the temple of God, the bodies of believers in Jesus Christ. Church, let’s allow that spirit to arise, manifest itself, and be released in resurrected life and freedom! When is the adult church going to learn it doesn’t have to be theologically correct or kosher all the time; they just need to have faith in Jesus and listen to his Holy Spirit speaking? Every religious sect thinks the theological “truth” has been revealed to them, and the rest of Christendom is incorrect or missing an element of that truth? Why does the adult church feel it has to “justify the truth” rather than live by the principle of “justification of faith”? Faith in what? If we have “faith” in Jesus’ power to heal, then let’s just do it: heal! If we have “faith” in Jesus’ power to forgive, then let’s just do it: forgive! If we have “faith” in the body of Christ, then let’s just practice IJohn 3:16 and “lay down our lives for our brethren”: let’s just do it! If we have “faith” in “rebirth”, then let’s allow the Holy Spirit to rebirth! If we believer in sanctification, then let’s allow the Holy Spirit to lead us in caring, nurturing, and developing our fellow believers into the image of Jesus Christ! If we “faith” that God speaks to his children, then let’s listen and be obedient to what we have seen and heard. When, as adults, are we ready to scrap our prearranged, highly organized, well orchestrated, music and oral ensembles we call worship services, and allow the children of God who attend to just be “children” who want to play, to romp, to sing, to dance, to be free to skip around bear footed, even puddle hop, and maybe even make mud pies while getting dirty instead of always appearing pristine clean? When are we going to allow their passions in Jesus to arise, to help “develop” towards maturing in Christ-likeness, and to release them to be free in the destiny God has for them instead of prohibiting them, holding them back, and controlling them? I recently observed a parent, who when haggard by their children’s noises of just being kids, playing, sibling rivalries, vying for parental attention, and being fidgety under the strains of having to be in an adult world while still being kids, completely shut down their activity to have “order” for the sake of adult sanity, suppressing any child like life in them for quietness and control. As adults, we do that all the time to our children rather than joining them. Jesus said, “Let the little children come unto me,” and “unless you are like a little child, you can not enter the kingdom of heaven.” I want to enter the lifestyle of that kingdom; I want to be a child again; I want to be able to come and jump into the lap of Jesus! Then I got to divert back to my spiritual childhood with child like faith. I got to quit debating, quit trying to be correct, quit trying to always be a portrayer of truth to prove that I am righteous, and just be a kid again! In an adult world kids are never right; in a kid’s world they just want the adults to join them in experiencing life. I just want to heal, to forgive, to love, to respect, to honor, to worship, to grow, grow up to be like Jesus! I just want to experieince continual rebirth, to care, nurture, and develop others, to walk our the Word of God in my daily life, live it, to develop my inner ear to hear the still small voice of the Holy Spirit, to be able to envision the Church as a bride without spot or wrinkle prepared for its wedding day. As a kid, I want to play, imitating my Father. Ironically, as an adult I have learned to “play church”, but as a child I want to be the church; I just want the freedom and release to just do it! For a belief system based on relationships, Christianity can easily become a religion. On forms and questionnaires they ask for your religious preference: Protestant, Catholic, Jewish, or other. It has become a way of identifying different beliefs system, categorizing them for institutional purposes, but what would happen if they would just be relationships. The center of Christianity is the Cross; the center of the Cross is a relationship between a supernatural God and natural man. At the core of Christianity is the miracle of restoration of rebirth: a broken relationship between man and his Godhead due to sin and the restoration of that relationship through Jesus, God’s son, hanging and dyeing on the Cross to amend the sinful nature of man. It is a message of hope to the hopeless and life to the dead. The cross conquered death: “Death where is thy sting?” It restored and offered a “living” relationship to man with his Godhead now guaranteed through eternity, never to be broken again. It is when we, the believers in Jesus Christ, chose to back away from that relationship or sever that relationship that begins to make one’s faith a religion where one “practices his religion”, that is, goes through the motions. It is all activity, all image, with little if any substance. I have found myself falling into that category during my life, and often see the church doing the same. It must have been awkward for Jesus to visit the Temple that no longer had the Ark of the Covenant, God’s Presence, in it, yet its priesthood still “practicing” the customs of Moses, still going through the motions. God’s Presence through His Son Jesus was in their midst, yet their “practice” prevented them from a relationship with their living God, thus the verbal venom Jesus displaced with the “woe to you scribes, Pharisees, and lawyers” of his time who were “practicing” their religion rather than developing relationships. The other relationship restored in the Cross was the horizontal relationship between mankind. Ever since Cain and Able man has been fighting one another. There is always a war somewhere on this planet bringing devastation between mankind. The Cross was the beginning of the end of that broken relationship, for the New Jerusalem, the new heaven and the new earth, eternity in Jesus is pictured as the lion laying beside the lamb, the cobra beside the ox, enemies now brothers. Where is this restoration to be birthed? I believe in the Church, for we have a Savior who, while hanging on the Cross, proclaimed, “Father, forgive them, for they know not what they do.” Jesus stopped mankind from playing the “blame game” the core of most conflicts; He extended grace, mercy, and unconditional forgiveness in relationships to, through, and from mankind to one another. So churches (we) need to stop blaming other churches (them) as not being true to the Christian faith because there is little if any relationships between “opposing” churches in the Body of Christ. Jesus’ prayer in John 17 is for the unity of the body of Christ, not its demise. Churches need to do more than “network” and “tolerate” one another, but lay down their lives for each other in relationship. Within local bodies of Christian faith, believers in Jesus Christ must begin to lay down their lives for one another in relationship if their faith is to produce life. What better way to do this than through the five fold, where you have different points of views, different passions, different voices, but when “laid down” in “sacrificial, unconditional love” are the very things needed to bring unity and life into the Church! Evangelism through birth or rebirth comes through a relationship between a believer and nonbeliever in Jesus Christ. Shepherding develops nurture, care, and spiritual growth through relationships between believers. Teaching thrives on the “experiencing” of one’s living faith rather than just “knowing about it”. The prophetic develops the relational communication skills needed between God and His people, and the apostolic is all about relationships, tying together, networking, and releasing all this different points of view, passions, and voices in one direction in unity for the spiritual development of its believers into the image of Christ Jesus and for the unity of the entire body. Without these relationships we can fall in to “practicing our religion”, just going through the motions where one has lost their passion, feel their point of view has been snubbed, and who thinks they have no voice. I find much of the church “practicing” their “religion” when they corporately meet on Sunday mornings, for there sure isn’t a lot of relationships going on vertically or horizontally, but a lot of “practicing”, going through the motions. Without relationships we end up with religion. Church let’s quit “practicing our religion” but live out our relationships with our God and with our fellow brothers and sisters in the faith, for Jesus has made a way for that to happen. Church, let’s begin listening to the Holy Spirit in how to “work out our salvation” with our God and “work out our relationships” with our brothers and sisters in the faith. When we are serious about doing this, we will witness true revival, rebirth, and renewal through relationships. In the last two blogs we have looked at a young girl’s cry for a relationship in church she called “life together.” This life would be a horizontal relationship of community among peers, not a hierarchal community of professional and nonprofessional people. The church has created “offices” out of the five fold, nouns, titles. The five fold is usually adjectives describing what believers are doing, verbs. What today’s generation is looking for is not professional titles and offices, but a vibrant, living community of faith built on horizonal relationships among peers, Christians. If we begin to look at the five fold relationally, we can see the passion and point of view of a spiritual gifting that is unique to the individual, but can be supportive, supplemental to the other four to fulfill their callings. There strengths are usually the individual’s weakness, and together they can fulfill the “full” calling of Jesus Christ. It is a relation built on peer acceptance and peer service, one giving to the other and accepting what the other has to offer. It is a reciprocal relationship, that over time builds an accountability system of trust, honor, and respect. It is far better to do something and accept discipline out of trust, honor and respect as nurtured in a horizonal relationship verses out of fear because of one holding power above another. The church needs to recognize the power of five very strong passions of birthing, nurturing, instructing, guiding, and overseeing, and how, if they work together on a horizontal plain of acceptance and trust can be a very powerful and effective tool of ministry in the maturing of the saints into the fullness of Christ (individually) and bring unity to the body of Christ (corporately). Up to now, the church has not allowed the five to “live together”, opting for their confinement and separate callings, offices, professions, and institutions, thus bringing division among them and division to the church. If the five fold was looked upon relationally as five different, strong passions and points of view that were willing to lay down their lives for the other four by serving one another as well as receiving from one another with grace and humility, a bond of trust, honor, and respect would be developed. We would experience a community, a fellowship of faith of “life together.” This would produce a “full life” in Jesus Christ, a maturity of being in his image individually, as well as a “full life together” as a unified body of believers, a holy priesthood of believers. The gifting and calling of each of the five fold will take on a different look than it has under a structural institutional church format, for it will be based on horizontal relationships of laying down one’s life for one another for the sake of “life together” in Christ. I know it is a different mindset than from the past, but we as Christians, owe it to the Father, his son Jesus, and to the precious Holy Spirit, for redeeming the Church vertically, but now we need to allow them to develop the Church relationally horizontally among the brethren. This is the cry of the young girl in my previous blogs, and the cry of my own heart personally. "The church that I attend is unusual in that it teaches organic community, but it seems to me that the only organic community that is happening is with the staff who are together just about everyday. They are the ones who get to do “life together”. Sure we have small groups, but, none of the small groups that I’ve been apart of have ever actually done “life together” which is difficult meeting just once a week or twice a month. I’ve tried to “do life together” with people, but everyone is so consumed with their individual lives, work, family, etc. I often wonder ‘do I HAVE a life?’ They all seem perfectly okay with meeting once or twice (1 week day for small group & Saturday or Sunday for church) a week. I was being discipled by one of my pastors and we used to meet once a month. But we haven’t met on a regular basis since last August. I wondered why, until I saw that she was “doing life together” with a couple of staffers at the church. I was becoming jealous because I wanted that, too. But, reading your blog, I just realized that what I am really longing for is organic community where I can know and be known completely without the titles of pastors, leaders, etc." Ephesians 4 exhorts the church to “equip the saints” for the work of “service”, not “equip the staff.” In the above excerpt, I could not help but to hear this young lady’s cry for meaningful relationships through her church, not sporadic, professional, set a weekly or monthly appointment, relationship with a “staffer”. It did not take this young lady long to realize that in a huge mega-church, it is hard to establish meaningful “life together” relationships. In reality, she could only get a professional/client relationship. She also realized that since the staff saw each other daily, their relationships reflected that. She too seeks a relationship that is not just sporadic: a Sunday morning worship service where there are only casual relationships is a huge crowd, or in a small group that probably was more of an organized Bible study than a group to build meaningful daily relationships. This young lady’s need for “life together” relationships exemplifies the desire of this generations need for horizontal, linear, and meaningful relationships. Staff to laity/congregant relationship is looked upon as “doing church” rather than a horizontal, relation of “life together”. I have witnessed a situation where a need was shared to a senior pastor who began to look for a solution as a “human resource” perspective of which staff member should become involved rather than looking to the saints within his church to minister horizontally to each other. What this generation is looking for is not a “professional” relationship when it comes to church fellowship, but a cordial relationship among peers that would deepen with time and commitment, a sense of community. The church that I attend is unusual in that it teaches organic community, but it seems to me that the only organic community that is happening is with the staff who are together just about everyday. They are the ones who get to do “life together”. Sure we have small groups, but, none of the small groups that I’ve been apart of have ever actually done “life together” which is difficult meeting just once a week or twice a month. I’ve tried to “do life together” with people, but everyone is so consumed with their individual lives, work, family, etc. I often wonder ‘do I HAVE a life?’ They all seem perfectly okay with meeting once or twice (1 week day for small group & Saturday or Sunday for church) a week. During the first century, the church broke break daily, integrating their daily lives culturally, economically, and socially through their new found faith in Jesus Christ. It was all about “relationship”, a community of fellowship of faith, daily, seven days a week. Christians met in homes, shared what they had, sold lands to help those in need, etc. There was no hierarchy of leadership and power yet, only leadership through horizontal relationships of service and hospitality. Somehow throughout history, the church has lost doing “life together”, at least that is how the young adult generation of today sees it. When my one son reached his late teens and through his twenties, he cried out to the church for an older male to “mentor” him, but few older men could afford the 24/7 demands and late nights that are part of hanging out with twentysomething life style. Today’s young adults are looking for relationships that go beyond just Sunday morning services with their hand shakes and pats on the back, or a young adult church program that meets once a week. My daughter drives me nuts because she is a social creature who wants to “hang out” with someone every moment she gets away from her strenuous, daily, demanding job that is helping her to become self sufficient. She yearns for fellowship, but finds herself swallowed up in her job, her work, in order to pay her bills at the price of a “social life”. Opting to work on Sundays for financial reasons of survival, she has lost contact with the local church, who has not reached out to her. She sees that the expectations is that she is to “go to church”, not the church “go to her”, particularly when she is in need. Like the girl above, she too yearns to find a church whose believers practice “life together”. The institutional church has tried to target young twentysomething adults through ministries and programs. A church plant in a movie theater targeted this group, but when relationships among these twentysomethings began to be entangled, and became a breeding ground for dating, then break ups, causing strained relationships because everyone was in their twenties, “life together” crumbled. How does the church face the mindset of “hanging out” of the later teens and early twenties age group to become “life together” corporately to young struggling adults who are trying to find meaning in life, direction in life, and acceptable peers in which to share relationships. So the battle of these mindsets, and the desire for “life together”, and the need for social acceptance has caused this age group to questions the validity and definition of what is “church”. They wish to keep their faith in tact, their personal religious convictions, but struggle in how to do it corporately. It is hard enough for them to find an individual to spend “life together”, but they are also finding it extremely difficult to find a group corporately to spend “life together”, which they would redefine as “church”. The way one looks at church, structural verses relational, will effect they look at missions. Most of us, who have grown up in the Church, look at missions as a place “missionaries” go or a thing do. Missionaries are people who go around from church to church to raise (actually forced to beg for) money, so that they can be a “professional”, having an income to free them financially while “ministering”. Unlike Paul, who was a tent maker on his missionary endeavors, a missionary goes forth as a paid professional. What he builds is a kingdom that depends on him, for he usually remains atop of the pyramidal structure he creates. A true missionary, like Paul, would move one, allowing those he “equipped” locally to maintain the new work, freeing himself to move on and start, plant, or birth a new work. A good way to tell if missionary endeavor is relational or pyramidal in structure is by seeing who is leading. Is the missionary over them, or are the natives ministering relationally to their native neighbors, brothers and sisters, families, and communities. If missions were structured as a pyramid or hierarchy, the structure will want to stay to keep its structure and maintain its positions. If the structure is relational, then there is no need for a hierarchal, pyramid, institutional structure because spiritual life flows horizontally among the participants. The banned underground Church in China is an excellent example when placed beside the institutional Church in China that the government permits. There are no westernized missionaries “overseeing” the spiritual life of the Chinese Church today, yet it is a vibrant, living organism rather than a highly structured organization partially due to persecution. A persecuted church is often forced to abandon its structure for survival. As a person growing up in the American church, I believe that missionaries eventually open up either missionary hospitals or Bible Schools. The Bible Schools are to train future “pastors” to go out and start, develop and maintain new churches. That is structural religious thinking. Relationally, I believe, Ephesians 4 outlines how we are to “equip the saints”, not “equip a staff”, for the work of “service”, not necessarily paid professional service, to bring “maturity” to the saints in being more Christ-like, into the image of Jesus, and to bring “unity” to the body. Bible Schools preach the doctrine of the churches that finance the endeavor and propagate their uniqueness and correctness of theology doctrine compared to other “sects” of the Church, bringing division in the Body of Christ. If someone came in and relationally developed and released those believers in the body of Christ to be evangelistic, reaching those in their culture who are lost to find Jesus in terms that their culture understands, to be shepherds, caring physically, mentally, and spiritually to the context of their cultural community, to be teachers of the Word, the Bible, by not only interpreting, but applying the written word to their culture world (in a way like Wycliffe Bible Translators do today), to be prophets so the native people in their own land can hear the voice of God for themselves and claim God to be the God of their nation, region, and community, to be apostles releasing their own people according to their spiritual gifting to their own people in the culture of their own country but under Biblical principles, written and living. Someone has already done that: Paul, and how he did that is recorded in most of the books in the New Testament after the four gospels. Saul, like us, first went to where he was familiar when entering a new town, a new culture. He went to any existing synagogue, to God’s people like his own, only to be rejected by most of them, often thrown out, even stoned by some thinking him dead. Rejection forced him to then look to the native culture, the gentiles, who accepted his evangelistic message, received and developed his pastoral, shepherding care towards one another, got grounded in the written scriptures of his day through the unified message of the “apostles’ teaching”, grew in the intimacy of a personal relationship with their God through Jesus prophetically, and acceptance the “seeing over” what the Holy Spirit was doing through the apostolic. Then as one of their “apostles”, Paul “released” them to do the work “of service” for which he had trained and equipped them and moved on. Other “apostles”, “prophets”, and “teachers” in the body of Christ would pass through to help to continue to “equip” THEM and “release” THEM. Never did Paul nor any other apostle, prophet, teacher, etc. rule over or control them, or remain there to dictate “apostolic oversight” that controlled a pyramidal, hierarchal, institutional structure, contrary to what the Roman Catholic, pyramidal, institutional church claims. Paul set up relational “networks” throughout his known world at his time with whom he loved, nurtured, encouraged, and longed to see and be with, but whom he never “controlled”, opting in allowing the Holy Spirit to flow freely and birth, develop, and maintain His Church in a culture through those living in that culture. The “relational” mission mind is far different than the “structural” mission mind, and the Church needs to allow the Holy Spirit to “teach us all things” in how to birth, maintain, and develop such endeavors through His people in His/their locality. A QUESTION OF HAVING “VOICE”! In this series we have been asking the question, “What happens with metamorphosis during the cocoon stage?” How, structurally, do you get a butterfly from what once was a caterpillar? In my Aug. 20, 2011’s blog, I listed several forms of transformation that I see occurring inside the cocoon of change for the church. Today we will look at the principle: Identity lies in who or what you are in the system (Caterpillar) TO Your identity lies in who or what you are in Jesus individually & corporately (butterfly). Caterpillar: In the church today, position means political influence. Who you are, or better yet, what you are in the church’s pyramidal system determines the influence you are allowed to have in the institutions programs, development, and leadership structures. 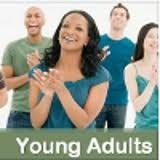 In every church, the youth have a voice, but usually not influence in the affairs of the church. Those older too have a voice, but also have influence because of financially supporting the church system. Often the lack of vision, and not listening to the voice of youth bring decline, decay, and eventually devastation to the local church. One of the greatest frustrations among laity is that they have a voice, often are allowed to voice it, only to be ignored, snubbed, or rejected. Those in “position” have the power of influence, affluence, and supposedly become the “voice” of the church, forgetting that those there are preaching to also have a voice. Butterfly: Voice is also important to those seeking a relational, horizontal, peer accepting linear church structure. In fact that is what their whole social networking world is about, having a voice that is as valid as everyone else’s voice. This linear flow of communication has no hierarchal filters to limit it, control it, dictate to it, nor censor it. Freedom of Speech is a legal right in American because of the Bill of Rights, but the internet is expanding the scope of that freedom to go beyond America’s borders to a world wide audience. Your identity “on line” will not be by office or position, but in who you are. How will you conduct yourself among your “peers” of believers in Jesus Christ and your peers of non-Christians who are also “on line”? How can relationships be established beyond surface communications on line to deeper levels of serving others and receiving back from them? The Differences: Old Mentality: Voice determines who and what you are in the church system. Who “speaks” from the pulpit, or “speaks” with power and influence a church board meetings, is determined by position and office, not relationships. In a pyramidal structure people do not want to give up their voice, for fear they will lose it and become with those who have no voice, thus fighting to retain power. New Mentality: Having “voice” gives one the power of persuasion, dialogue, and distributing facts which is what the linear, horizontal peer relationships are all about with social networking through the internet. Implications Today: Jesus asked his disciples, “Who do you say that I am?” I would ask, “Who are you?” One thing this linear communication does is expose who you are through your biography, photos, Facebook comments, tweets, texts, emails, and blogs. If you are a Christian, I would ask, how do you portray your self individually as a believer in Jesus Christ and corporately as a member of “the priesthood of believers”? If you don’t have a hierarchy over you, then how do you conduct and portray yourself as a Christian? How are you presenting the gospel (the Great Commission) to your peers relationally? How can you project your “voice” to be corporate as a member of the body of Christ, the priesthood of believers through the internet? Conclusion: The way a Christian uses his/her “voice” is dramatically changing the church scene of who and how the gospel is presented. The “voice” of the church, historically, came from those in power and influence, not those in the pews with little power or influence. With the social media and networking world, “voice” is now defined by anyone and everyone on a linear, horizontal plain. With that new freedom also come the responsibility to every believer, every member of the priesthood of believers, to speak properly, effectively, and with the gospel of truth through Jesus Christ. There is now a new challenge for every believer to fulfill the Great Commission by sharing their faith stories, telling their faith journey, and networking with others in their efforts to walk out their walks and journeys, creating their own stories. DEVELOPMENT: PAHRISEES OR DISCIPLES - WHAT HAPPENS IN A COCOON? In this series we have been asking the question, “What happens with metamorphosis during the cocoon stage?” How, structurally, do you get a butterfly from what once was a caterpillar? In my Aug. 20, 2011’s blog, I listed several forms of transformation that I see occurring inside the cocoon of change for the church. 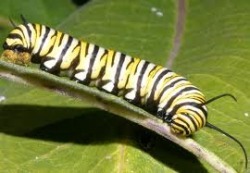 Today we will look at the principle: Develops “Pharisees” (caterpillar) TO Develops Disciples (butterfly). Caterpillar: I must confess: “I am a recovering Pharisee!” I truly believe that the longer you are in a religious system, you can’t help but become a Pharisee of that system. A Pharisee is one who becomes a zealot of their religious faith, who does “everything right” according to their religious code, and takes their religion seriously, effecting every area of their life. I grew up as a church kid, active in the church youth group, went to a church sponsored college, and have been active in many different ministries in my life. Jesus’ most severe criticisms were directed to the “church” people of is day, the Pharisees, comparing them to infected yeast. (See earlier blogs) Pharisees fervently supports a religious system. They appear squeaky clean; Jesus called them “white washed tombs”. Butterfly: Jesus chose twelve uneducated men from different secular trades to train and develop into what would be the foundation of his kingdom. For three years he built a relationship with them, training them, nurturing them, instructing them, and revealing His Father to them. They become known as his disciples, his followers. Every good rabbi had a following of disciples. Amazingly, when push came to shove, with Jesus’ arrest and crucifixion, they fled with Peter actually denying that he knew him. After Jesus’ resurrection and ascension, He sent His Holy Spirit on the Day of Pentecost, and the Holy Spirit transformed 12 disciples into apostles who would “see over” what the Holy Spirit was about to do. After the four gospels, the next book is the “Acts of the Apostles”, recording the actions of the apostles as they followed the leading of the Holy Spirit. This would be the pattern of this newly birthed church built on relationships vertically with the Father, through Jesus Christ, by the leading of the Holy Spirit, and horizontally among the believers of Jesus Christ, the Church. The Differences: Again, the difference between the two is established in where one’s loyalty lies: in an institution or in relationships with others. Pharisees are zealots about what they believe, think, and do. They are driven to follow the law or code of their group to achieve acceptance of advancement. Saul, the Pharisee of Pharisees, had followed every Jewish code possible and even lead the zealous crusade to rid Judaism of this new “sect”. That would all change when he literally gets knocked of his horse, and meets Jesus. With that relationship, his life is changed, and the rest of his life is now dedicated to his vertical relationship with God and his horizontal relationship with the other believers in Jesus. Implications Today: How did I know when I became a Pharisee? When I became defensive, justifying my every action and belief. I always believed my way of thinking was the correct way. When the Holy Spirit brought it to my attention, my first defensive response was, “prove it to me.” We care not to admit it, but today’s church is filled with Pharisees who follow their church codes to a tee and are zealous for what they believe. Listen to Christian radio some time, and you will hear dozens of different preachers all preaching their own doctrine, some times the opposite of one another. Pharisees nurture division just by their words, attitudes, and actions. The Church will never be united, one body, as long as the Pharisees get their way. Conclusion: Where is your loyalty: to the religious institution to which you belong or to relationships with the priesthood of believers? Pharisees always line up with their institution’s guidelines and code of conduct, yet they were the targets of Jesus’ most severe criticisms. He attacked their mindsets and established traditions calling them “traditions of man.” On the other hand, the priesthood of believers is all about equality of position and influence, linear, horizontal relationships where one believer has to “lay down his life for his brethren”, another believer. Pharisees never lay down anything, only defend what they are holding on to! Are we willing to lay down our traditions, our past, and our very lives, those things we hold on to, at the altar, at the feet of Jesus, before our very brethren for the sake of relationships that the Lord wants to establish in our individual lives and corporately as a priesthood? POSITIONING IN THE CHURCH - WHAT HAPPENS IN A COCOON? In this series we have been asking the question, “What happens with metamorphosis during the cocoon stage?” How, structurally, do you get a butterfly from what once was a caterpillar? 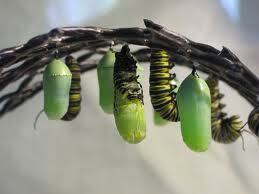 In my Aug. 20, 2011’s blog, I listed several forms of transformation that I see occurring inside the cocoon of change. Today we will look at the principle: Positions are determined by offices (caterpillar) TO Positions are determined through service, what you do, not who you are (butterfly). Caterpillar: Pyramidal, hierarchal institutional structures major in positions and titles. You position’s title is suppose to identify what you are to be doing or in charge of. It supposedly defines your sphere of influence. The higher up the chain, the greater potential for some one having someone below you “do” what needs to be done because of your directives due to your power by title or position. Those at the top don’t really do much physically to get things done, but has those under their “leadership” do it making them look good and effective. In corporate America you work hard to ascend the pyramid at the expense of those below you. The American church is no different, professionally. In some camps you become an evangelist working so that some day you will get “your own church”. Other camps have the progression from Youth Pastor, to Associate Pastor, To Senior Pastor. Often one starts in smaller churches working their way to churches with larger church attendance. Then some work their way from pastors, to superintendants to bishops, etc. With each step are financial benefits. You know who is “in charge” by their title. 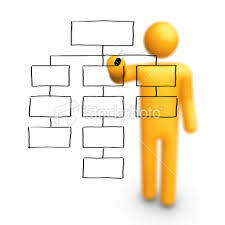 Often laity is exempt from their hierarchal structure because they aren’t professionals. The height of their titles would be elders or church board members. Those with titles are identified as “leaders”; no title, you are considered a “follower”. Ie. worship leader (title), worshiper in the pew (no title, only a follower). Butterfly: On a linear horizontal plain there is no one “over you” as everyone is perceived as equals or peers. Here the “Priesthood of Believers” is practiced, where all are priests, peers. The only hierarchy position is that of High Priest, who is Jesus Christ. Being a “priesthood”, corporate ministry is central, so the church will experience a new definition of what ministry by the believers in Jesus Christ is individually and corporately. “What you do” defines who you are. If you do lead people to Jesus Christ, you do evangelism, so you are an evangelist. If you take care of people, nurture them, help develop them, you are shepherding them: action not title. You share from what you have learned by studying the Logos Word, the Bible, and practiced those truths in your life, the Rhema Word, the living word, then you are “teaching” people. What you do, determines the adjectives describing your actions. The Differences: Institutional structured produce titles and positions to identify what one is suppose to be doing and giving them authority to have it accomplished, even if at someone else’s expense. It establishes a “power” structure or grid of “authority”. Relationally actions produce adjectives to describe that action, not nouns to identify the office. An “evangelist” by title is hired, through offerings, to come in and “evangelize” anyone who comes to their meetings. They are “in charge”. An “evangelist” relationally tells others about Jesus Christ, the Gospel, the good news verbally and through the “actions” of their personal lives. They can’t help themselves; they just “do it”. It is their passion, the way they see things, their point of view. Anyone, and everyone, who does evangelism, ie. telling “their stories”, their “faith journeys in Jesus” can be identified as evangelists because of what they are doing. Implications Today: Whenever the Holy Spirit moves, what he “does”, the institutional church will institutionalize by making that action, that movement, a position. Let’s look to the 20th Century Church as an example. In the 50’s through 80’s, the Church institutionalized evangelism to the extent that they could fill stadiums and draw large TV audiences as shown through Billy Graham Crusades, the C.B.N. and T.B.N. Christian TV networks, and televangelists like Jim Bakker & Jimmy Swiegart. In the ‘70’s, with the release of the Charismatic Movement, the need for the pastoral was needed, thus the institutionalizing of it that produced the Shepherding Movement. The 70’s featured tremendous “teaching”, as the gift of teaching was released, & the Church institutionalized it through the Word Movement, producing more teaching tapes than my cassette recorder could run. The prophetic spirit was released in new powerful ways in the ‘80’s, and the institutional church promoted their pastors to prophets. The culmination came with the apostolic being released in the ‘90’s, where people were now getting to see the big picture of the Church, but the church institutionalized it by entitling their “super pastors” of large mega-churches as apostles wanting smaller churches to follow their lead. By the end of the century, the institutional pyramidal, hierarchal church had “structured” professionally within their ranks every movement of God during that century as an office, so today they think of the five fold as offices.